Dieudonne & Carole Beauty Supply is a family owned and operated company that has been in business for over 20 years. It was established to serve the beauty and barber markets in the Little Haiti area. They are both Retail and Wholesale hair and beauty store. Their objective is to provide each and every one of their customers with the best brands available at the lowest prices. Dieudonne & Carole Beauty Supply has an extensive range of fragrances, skin & hair care, makeup, spa and a lot more of the best beauty products out there. They have products for every budget. 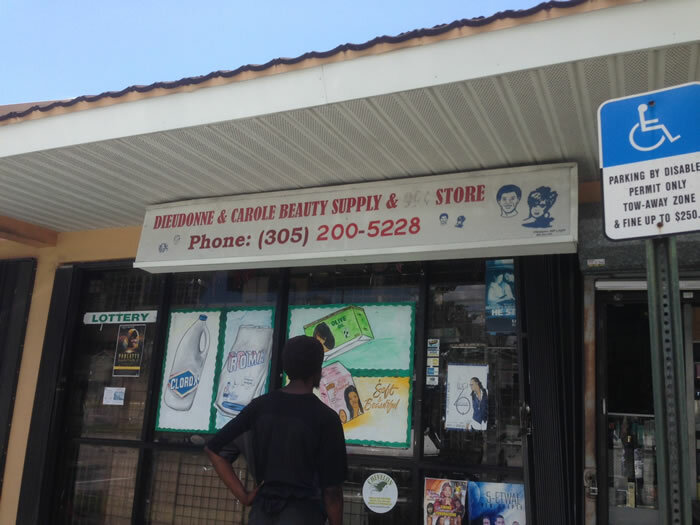 Here is a list of beauty products you are likely to find at Dieudonne & Carole Beauty Supply in Little Haiti: hair, Brushe, Comb, Pik, Clipper, Trimmer, Conditioner, Hair Accessories, Extension, Multicultural Hair supplies, Permanent, Wave, Texturizer, Shampoo, Thinning Hair Treatment, Wig, Hair Extension, Bundle, Relaxer, Hair Treatment, Skin Care, Nail Care, bath & body, fragrance, makeup, oral care, makeup, personal care supplies, men's grooming supplies, multicultural beauty supplies, natural beauty supplies, skin care Products.